Schedule a free consultation to discuss your case with Brooks Hilliard, a leading expert in computer related disputes. Fewer than 15 consultants in the world have been awarded both the Certified Management Consultant™ (CMC®) and the Certified Computing Professional (CCP) designations. 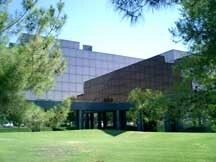 Brooks Hilliard has been qualified as an expert on software defects, computer hardware defects and flawed computer system implementation, including matters related to all types of business software. He has also worked as an expert in patent and trade secret litigation. Business Automation has Associates specializing in Software Quality, Call Center management and Systems, Software Project Management, Software Development, Computer Forensics, and Telecommunications systems and networks.